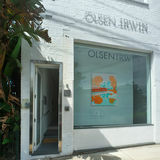 Limited Collection Editioned prints & multiples by leading Australian artists LIMITED Contemporary Editions is a Sydney based print studio presenting exceptional quality, archival limited edition reproduction prints from a collection of Australiaâ&#x20AC;&#x2122;s most celebrated artists including John Olsen, Stephen Ormandy, Matthew Johnson, Alan Jones and Julian Meagher. We are also continuously working with new artists to present a dynamic selection of contemporary artworks. LIMITED Contemporary Editions works directly with artists to accurately colour match every fine art rendition, bringing the imagery of our most celebrated artists to the public in multiple form. Each artwork image is reproduced on the finest Hahnemuhle archival etching paper using the highest quality, fade-resistant pigmented inks. Each print is hand signed and editioned by the artist to validate and authenticate the print. 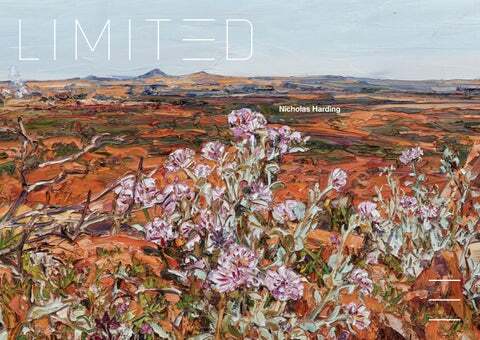 All works featured in this catalogue are copyright the artist, Nicholas Harding. Nicholas Harding Nicholas Harding (b.1956) is a highly regarded BritishAustralian artist known for his large scale painted portraits and pen and ink drawings. Harding came to Australia from England as a six-year-old. After studying for a BA he worked for twenty-two years as a freelance animator. Meanwhile, he was became known, early on, for huge pen and ink depictions of the railway tracks and shabby streets of inner Sydney, and the scrubby trees of the beaches of the north coast of New South Wales. His lush paintings on the same themes, as well as flowers, beach and river scenes and caravan parks are now in high demand from collectors. Since 1994 he has been a regular exhibitor in the Archibald, Wynn, Dobell, and Sulman prizes. In 2001, the first of several triumphant years, Harding won the Dobell Drawing Prize as well as the Archibald. Harding was the most-represented artist in the National Portrait Gallery exhibition Idle Hours in 2009-2010. A major retrospective of his work, Nicholas Harding: Drawn to Paint was at the SH Ervin Gallery in Sydney over the same period. Hardingâ&#x20AC;&#x2122;s work is held in the collections at the National Gallery Canberra, the Art Gallery of New South Wales and the Newcastle Region Art Gallery.